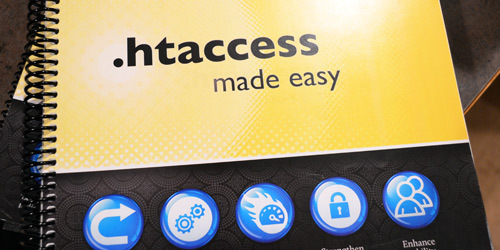 While supplies last, printed copies of .htaccess made easy are on sale for $35 — and that includes FREE shipping. So for $10 more than the price of the PDF, you can get a limited-run printed copy of the book AND everything included with the PDF. This is a one-time deal that won’t last long. You can learn more about the printed books and visit the store to get your copy. Again, this is a one-time deal that won’t happen again — get your limited edition printed book while supplies last.